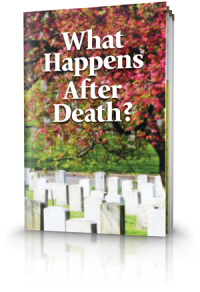 Many have used personal near death experiences or stories of near death experiences to confirm their belief that there is life after death -- that when a person dies he or she either goes to heaven or hell. But is this really what the bible teaches? 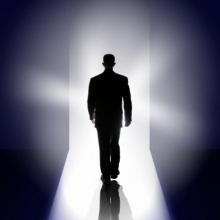 How should we understand these accounts of near death experiences? Recently I had the privilege of corresponding with one of the church's Beyond Today viewers about the program we aired regarding near death experiences. The primary thrust of this program was for the viewers to consider carefully the source of their belief. In this blog I'd like to share some of my thoughts included in my reply letter. I respect the sincerity of people who have experienced a near death experience and I understand that such an occurrence may have a profound effect on not only their lives but their loved ones too. However when human experience and biblical understanding are not in agreement I must take the position that what God has revealed in His Word takes precedence. 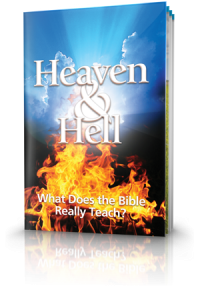 Unfortunately, within the general Christian world, there is the assumption that when one dies we either go to heaven or hell. Whereas the Bible confirms that when we die we go to sleep in death and God's Word describes the dead as being in a state of total unconsciousness devoid of awareness, knowledge or perception (see Psalm 6:5; Ecclesiastes 9:5, 10). If we accept the Bible's description of death, we realize that those who returned to consciousness or were medically revived and later related their experiences were not really dead in the true sense. Some vital organs, such as the heart, may have temporarily ceased functioning, but not all brain activity had stopped. While I accept the fact that there are reports today of near-death experiences which are truly amazing, the basic premise of these accounts is that the people describing their experiences actually died. True, many of them were declared "clinically dead." However, as with life itself there is much that medical science has not grasped about the nature of death. Doctors and scientists do not agree on exactly what constitutes 'death.' Some people, for example, may be brain-dead or comatose while the rest of their body goes on functioning for years. Others whose hearts or lungs have stopped have been successfully resuscitated with no permanent ill effects. Researchers have found that the human nervous system and brain operate largely through electrical impulses. The brain requires blood and oxygen to properly function, and when breathing or blood circulation is impaired the brain begins to malfunction. If these functions are interrupted long enough, the brain eventually ceases all activity. Some researchers conclude that the unusual sensations, including lights and sounds, reported by those revived after being clinically dead can be attributed to malfunctions of the nervous system and brain brought about by the shock to the body as a result of nearly dying. Sometimes these accounts appear to contradict the biblical passages describing death. 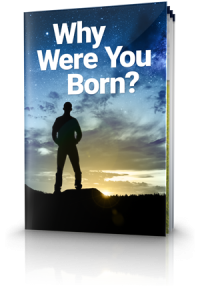 And these near death experiences are used by some to prove that when we die we continue to live on in another dimension – such as heaven or hell. This is not what the Bible teaches. The Scriptures teach a resurrection to come in which the dead will hear the voice of the Son of God and live again (John 5:28). We can derive great comfort in the Word of God as our source of truth and understanding (John 8:32). 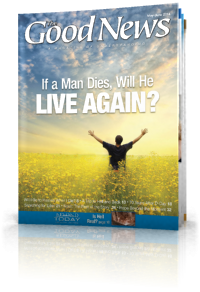 It's the great question: If you die, will you live again? You need to settle the question in your mind. And you can! Learn the good news from the Bible that answers this question! Vast numbers of the world's population down through the ages have never had the opportunity to genuinely repent and accept Christ simply because of where they live. Would it be just and right for God to subject them to the same punishment He will give to those who reject Him and make themselves His enemies? Join us on a journey through the pages of history and your Bible.